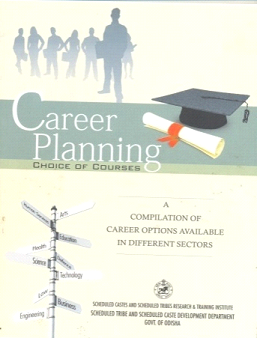 For equipping the students of Class IX and above with the information on vast and ever growing career opportunities and to develop the ambition to look beyond the immediate observable career options in their surrounding environment, the Dept has initiated the Career Counseling Desk in each High School. 2 nodal teachers from the respective High Schools have been assigned the responsibility to conduct and coordinate the key activities of Career Counseling Desk. Database of these nodal teachers have been developed. These nodal teachers have been trained in the different aspects of the Career Counseling and on the operational modalities of the Career Counseling Desks, enhanced understanding career assessment tools, etc in collaboration with UNFPA, KISS & Career Counselling Department of RGNIYD (Rajiv Gandhi National Institute of Youth Development) Chennai. 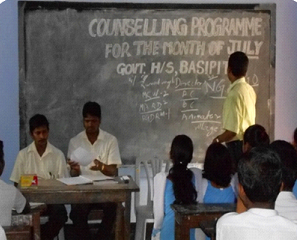 At least 2 classroom based counselling sessions are conducted every month with the students of Class IXth and above on the importance of career planning and key steps therein, the various career opportunities available in different sectors, basic information on eligibility criteria, major institutions and future prospects and information on various incentives for SC/ST candidates like reservation of posts/ seats in service/ academic institutions, relaxation in eligibility criteria/ admission fee, educational loan etc. 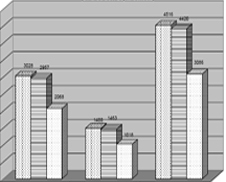 At least one guest lecture on specific sectors/ career opportunities is organized every month. Guests from the local, block and District headquarters such as Doctors, Medical Officer, ANM, Assistant Engineers, Junior Horticulture officer, Officials from Krishi Vigyan Kendra, Teachers from local ITI, officials from DIC, District Inspector of Schools etc. are invited to take session with the students on the various career avenues in their respective sectors. Rs. 10000/- per annum has been earmarked for the Career Counseling Desk activities. A Compendium of Career opportunity in different sectors was also published by the Dept to be used as a reference material by the Teacher-Counsellor for conducting the career counselling sessions in the school.